What market indicator’s been right 82% of the time? “There’s a tear in my beer” because of the govt shutdown. We’re talking bonds today. And not just any bonds — corporate bonds. “A bond is nothing more than a way for companies to borrow money from the public,” Zach says. “It works with a bank or a broker to create the bonds. “Unfortunately, many investors think they’re too complicated to bother with…so they essentially pass up an easy way to earn extra cash. Zach says bond payouts might be on par with dividends when it comes to income production — and Zach’s a big fan of dividends… but dividends have drawbacks. We’ve seen a few companies go belly-up in the past year — Toys R Us immediately comes to mind. Since bondholders are technically creditors, they can get in line for the leftovers. Not great, Zach concedes, but far better than what shareholders get if a company goes under. “When a company creates a bond, it is initially valued at $1,000 — known as par value. But you wouldn’t just lend a company a thousand bucks for them to simply return the same amount, right? “The company also decides how much interest it’s willing to pay on that loan,” Zach says. “It’s a fixed percentage based on the $1,000 par value, known as the yield. Keep in mind, established companies with long track records don’t need to offer high-interest payouts. Investors are attracted to these bonds because of the company’s solid reputation. On the other hand, new companies — or companies the proverbial vultures are circling — have to offer higher interest rates. These companies have to make it worth investors’ while to make a risky bet. “And this is where things get interesting,” Zach says. Who knew the bond market could be so juicy? “As I said, bonds are initially valued at $1,000. But once the company sells the bond, the buyer is free to sell his or her bond to another investor. In other words, the secondary market is subject to the vagaries of Economics 101 — supply and demand. “Many bonds were created during the last financial crisis,” Zach says, “when investors were wary of long-term investments.” Resulting in companies offering high-interest coupons to entice buyers. Since then, it’s been a case of out of sight, out of mind: “Investors have forgotten these bonds exist, so you can buy them at or even below par value. [Ed. note: “Your portfolio can’t thrive on stocks alone,” says Zach. “Fact is investors are figuring out that stocks don’t always go up in a straight line. Readers of The 5 will recall Nomi Prins’ thesis that corporate bonds — in general — are at risk this year… that’s all the more reason homework’s more important than ever. And Zach does the heavy lifting for you at Contract Income Alert. If you follow Zach’s recommendations, you won’t have to worry about wild market swings again… while earning much more wealth than you’re likely to see in stocks alone. To the markets, where Alan Knuckman — from the trading pits at the CBOE — takes notice of the “First Five Days” Indicator. To wit, Alan takes us back to the good ol’ days of high school physics — an object in motion, tends to stay in motion. To Alan’s way of thinking, the resulting momentum applies to stocks, too. “Market momentum is such a strong force that investors can often look at the performance of the first five trading days in January to predict the rest of the year. Taking a look at the S&P today — it’s down about nine points, to 2,588.07, while the Nasdaq’s down 38 points, to 6,947.44. The Dow’s down a little over 100 points, to 23,900. To commodities… Oil’s down 88 cents, to $51.69, for a barrel of West Texas crude; the yellow metal is up $2.60, to $1,290 per ounce. As for crypto, bitcoin’s up $17.70, to $3,648.70. Despite the partial government shutdown, the Labor Department spat out the monthly inflation numbers today — still running 1.9% year over year despite another drop in gasoline prices. Retail stocks got hammered yesterday, in spite of robust holiday sales; Macy’s stock, in particular, had its worst day in history — down almost 18%. “Everyone hates the automobile biz right now,” says our technology maven Ray Blanco. 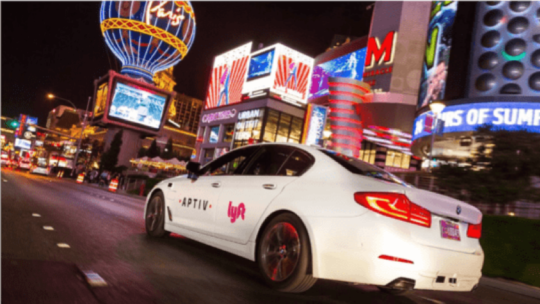 “Which actually makes it a great time to invest in tech companies with automotive exposure,” Ray continues, as he scours the exhibit halls at the Consumer Electronics Show in Las Vegas. And like any gadget-loving guy, Ray’s not just excited by the automobile components that make cars go vroom… he’s even more excited by the cutting-edge technology automakers are cramming into vehicles. “Some top-end new vehicles claim more lines of computer code than the F-35 stealth fighter jet!” Ray says. “All that software requires a lot of silicon to run. “The amount of semiconductor content in an average new car is now worth hundreds of dollars,” says Ray. That figure should skyrocket into the thousands as tech now featured in pricey vehicles trickles down to the mainstream market. All that technology “require[s] some of the most sophisticated circuits to ever hit the consumer market,” says Ray. “That’s a high-margin business for tech companies. For access to Ray’s favorite names in the “connected car” space, check out Technology Profits Confidential. Unintended consequence of the government shutdown: No new beer for you! We’re now going on the 21st day of the government shutdown, and as a result, there’s something you won’t see in the refrigerated case at your neighborhood liquor store — new varieties of beer. 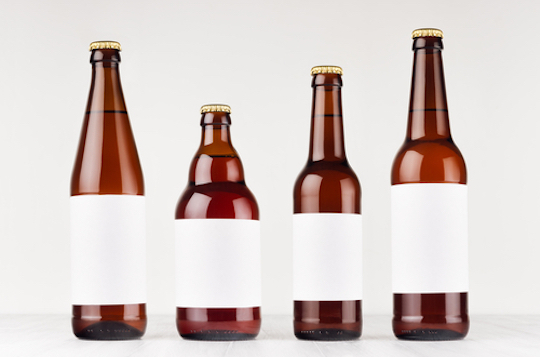 While you might think, because of the shutdown, there’s no one available to vouch for a new beer’s safety — nope— it’s “because there’s no one available to approve labels for cans and bottles of booze,” according to an article at Reason. One of the TTB’s jobs? Collecting taxes on alcohol and — in case you’re wondering — Uncle Sam’s hand is still in your pocket, government shutdown be damned. Now breweries that rely on the TTB’s *quick* turnaround on approving labels are seeing operations grind to a halt. “Everyone suffers from the shutdown by slowing our business after we have busted our tails planning,” says Bill Butcher, founder of Port City Brewing Co. in Alexandria, Virginia. “It is inexcusable that this should happen. “This is a failure of government to do its job!” Mr. Butcher continues. Which begs the question: Does the government even need to make it “its job” to police alcohol labels? “Instead of having to proactively approve every label for every alcoholic drink sold in America, the TTB’s bureaucrats could be relegated to an enforcement role,” says Reason. In closing, The 5 waxes poetic on the beer hold-up… This line from 13th-century poet Rumi seems appropriate: We have a huge barrel of beer… but no cups. Anyone else cryin’ in their beer? And if not, they’d lose over $3 million. Did they pay off? A legal audit reveals the truth… look at the results here.